I’m fast. I like to keep mornings quick and simple and take shortcuts. I focus on giving loads of love to my children and then I want to get out of the door quickly, looking as good as possible. But first, I check my emails for urgents from the USA from the night before (I won’t lie on that). Then, I feel I can give my full attention to my two sons, to chat to them, give them love and breakfast and pack them off for school for the day. Then it’s a rush job to get myself ready, have a shot of coffee and then into to the office. 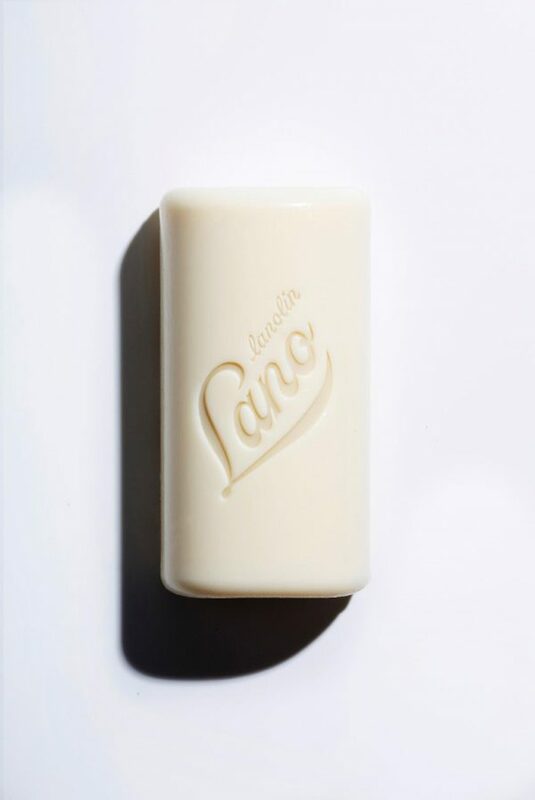 My morning beauty regime is a cleanse with my Lano Cleansing Bar and moisturise my face and body with Lano Everywhere All-Over Multi-Cream – it’s literally 2-steps in my skincare for face and body, and it works for me. Once I’m in the office I nail down my USA emails before 9am, then I plan my priorities for the day. Each week I have a conference call with my USA and UK Team, and every minute I have catch-ups with my Sydney team as we work in a super close-knit structure and environment. Emails are great but phone calls and verbal conversations rule when it comes to productivity and getting stuff done fast. From there – who knows! One day I could be working through the logistics of launching the brand in SEPHORA Europe, the next day its finalising our next campaign shoot. It’s very varied, which is exactly how I like it. I would hate each day to be a carbon copy of the other. I get bored easily and LOVE change. What was your biggest pinch-me moment with Lanolips? When we presented the idea to both Priceline & David Jones – and they both wanted to stock our first range. This was my first pinch-me moment I thought that this idea could actually really happen (Before web stores were ‘a thing’ you were totally reliant on retailers). Since then, I’ve had many: I’m about to head to Europe to launch Lano in SEPHORA, when we signed [beauty retailer] Violet Grey, when I was on air at QVC in the US and Larry King was in the room next to me. I was coming back from my honeymoon in Europe and was about to board a long-haul flight and wanted a lip balm that was going to actually keep my lips hydrated and none of the balms I had in my handbag did the job. I remembered using lanolin as a small child on my parent’s sheep farm and my dad calling it “nature’s wonder moisturiser” and thinking why am I not using lanolin? It was on that flight that I decided I was going to bring lanolin back, but better. There has been a lot of fantastic advice—and I’ve learnt to be a better listener. Also, I listen to a lot of podcasts on human behaviour, and one message has always resonated with me, from one of the guys behind APPLE—is that human brains will always seek out the ‘easy route’. This has always been my underpinning philosophy behind my first multipurpose product nine years ago, and it still is. This message helps me to remain focussed on our brand purpose. Low-fi, easy lip and skincare. Where is your favourite cafe and what is your go-to dish to order? Brunch at Bills in Bondi is my absolutely favourite. I love their sweet corn fritters: smashed avocado, lemon juice, alfalfa sprouts, and corn fritters with chili jam. It’s killer. I’ve been having it for 20 years. Do more, with less. I’m a sucker for a beauty-hack. When I ski I add my 101 Ointment to my face moisturiser so it’s supercharged to fight the wind. A lip balm that doubles as a cheek tint is essential. And contact lens cases make THE BEST travel containers for moisturiser on one side and foundation in the other. What piece in your wardrobe can you not live without? My engagement ring. Striped anything. And my Stan Smiths. To stop time, so when I work-travel I don’t miss anything in my sons’ lives. Where do you see the Lano brand in five years? If you had asked me five years ago where I saw Lano, I’m not sure I would have been able to say SEPHORA, Net-a-Porter, Nordstrom, Boots and Bloomingdales, that would have felt too ‘big’ and yet, here we are. So, in answer, I don’t know – I just want to continue to build a cult brand that everyone from Drew Barrymore, to Linda Evangelista, to my mother and sister love. What do you think was the key to such success and rapid growth? I don’t need the public accolades of success but I do like to produce a product that I am proud of. I like to help people in the genuine sense, so if I can produce something that will help to solve a problem that nothing else has solved, I’m happy. Focussing on that has probably been the key to our long-term growth.